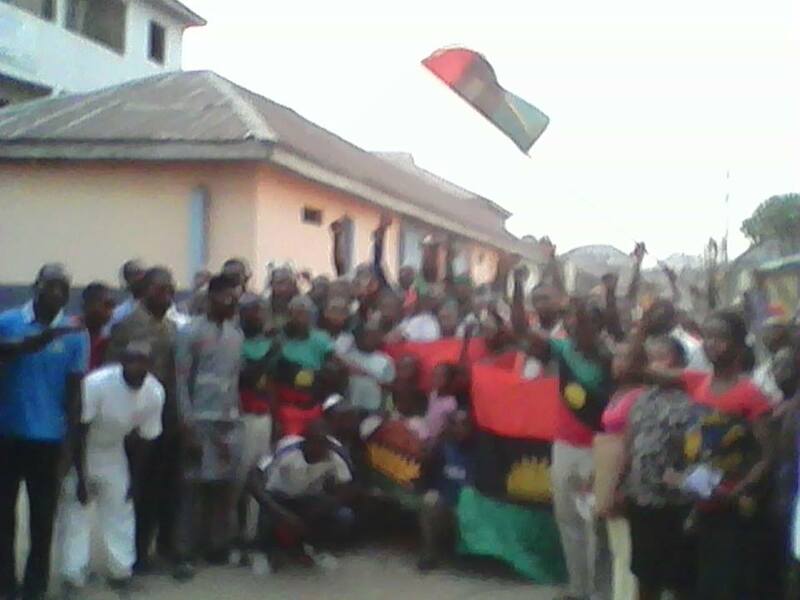 The Indigenous People Of Biafra family, Ndoki Zone in Obigbo Local Government Area of Igweocha(Rivers state) have called for the unconditional release of Nnamdi Kanu the leader of the indigenous People of Biafra who have been in detention since 2015. On a speech delivered by Mazi Godwin (The Ndoki zone coordinator) on the 15th January 2017 during their family meeting; he stressed on the need for the Nigeria government to as a matter of fact obey court orders and unconditionally release Nnamdi Kanu. Recall that on October 26 2015 Justice Shaibu granted bail to Nnamdi Kanu but the DSS operating under the Federal government of Nigeria bluntly refused to obey that court order. According to the coordinator who spoke for zone; he said the continuous incarceration of Nnamdi Kanu and other Biafrans by the Federal Government of Nigeria and the proceeding on the case despite the court order which granted bail to the accused is illegal and the murder of the power of the Judiciary. He also said the judges who proceeded with the case despite knowing full well that Nigeria disobey the order passed by a judge from same Judiciary who first presided over the case, are not professionally fit to serve as judges because they are ignorant of the law and the powers of the Judiciary and such persons shouldn't sit as judges over cases in the court of law. Mazi Godwin and other Biafrans in the zone who also commented on the court proceedings in the case between Mazi Nnamdi Kanu and the Nigeria Federal government, said the approach and actions taken by the DSS in and outside the court premises is a prove that the Nigeria government led by Muhammadu Buhari is desperate to jail Nnamdi Kanu and this further proves that they can even assassinate him if any little unsuspicious opportunity is given to them to do that. On this note; they urged the Judiciary to ensure that they don't only grant Nnamdi Kanu bail but also release him unconditionally in other to ensure that he is safe from any harm because from speculations, it have been revealed that they may assassinate him just as others were assassinated if nothing is done. A Biafran who angrily spoke during interview slammed those who called for the secret trial and also applauded the Judge for striking out the secret trial despite much pressure on her from Muhammadu Buhari who is determined to jail Nnamdi Kanu in all illegal means. In conclusion; the coordinator of the zone thanked IPOB all over the world for remaining resolute and charged them to remain strong and resolute until justice prevail and Biafra restored.